Just $9 a month! Gain Access to LIVE WEBINARS with Eddie, Social Events, Motivation, Tips and MORE! WE JUST ADDED THIS! Eddie will be doing LIVE COACHING ONLINE, once a Month with Members of THIS PRIVATE, SUBSCRIPTION PROGRAM. It's a great way to learn more from Eddie, ask questions LIVE, hear interviews with other Fitness Professionals, as well as Stunt Pros, Actors, Action Directors and more! This program is ONLY $9 per month, but is easily worth 10x what Eddie is offering this for! It's all about the POWER OF 9, so take advantage of this $9.00 offer and we'll see you there! Yes! Add Just $9 a month! Gain Access to LIVE WEBINARS with Eddie, Social Events, Motivation, Tips and MORE! 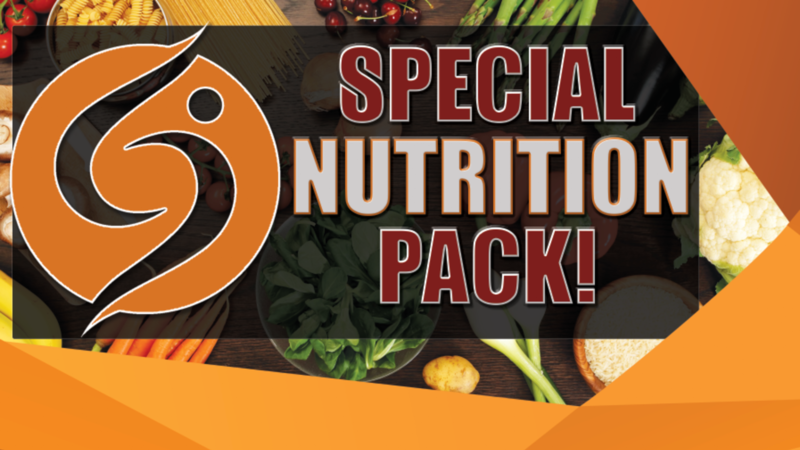 SPECIAL - NUTRITION PACK + BONUS!